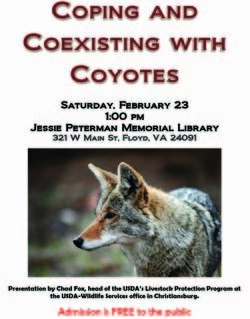 Coping and Coexisting with Coyotes - presentation by Chad Fox, head of the USDA's Livestock Protection Program at the USDA-Wildlife Services office in Christiansburg. 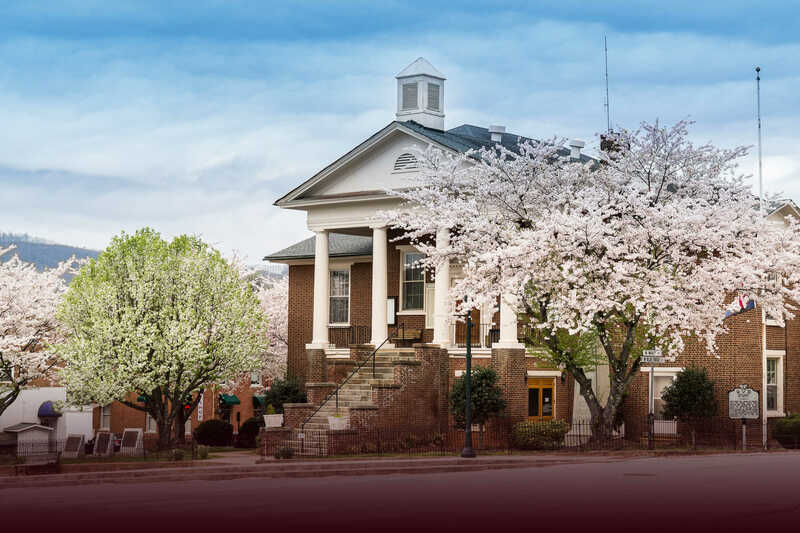 The presentation is scheduled for Saturday, February 23rd, 1:00 PM and will be at the Jessie Peterman Memorial Library, 321 W Main Street, Floyd, VA 24091. Admission is FREE to the public.